The larger and more diverse your organisation is, the more important it becomes to work together as one, and to present one unified, consistent image to all customers and partners. Unified Communications (UC) makes this possible. UC converges your desk phones and mobiles. It enables conference calls from home, instant messaging on the move, and collaboration with remote colleagues or customers – all on any device, anywhere and at any time. It provides the most flexible and comprehensive communications capabilities available on one platform, from one provider. UC makes both business-to-business and business-to-consumer communications seamless. Getting in touch with the right person becomes easier and more efficient. Capabilities such as video-calls and desktop sharing showcase your agility and professionalism while getting the job done quicker. Last but not least, all communications in any direction are always more secure. Increasing efficiency and productivity, reducing costs, improving customer relationships: UC brings together all the ideals of enterprise communications and makes them a reality. When employees can work wherever and whenever they want, they are simply more productive. UC makes their laptop, mobile or tablet the key to unlock access to all the tools, resources and colleagues they need, so they can be more efficient and more effective in the office, at home or on the go. The “Presence” feature also makes their availability status visible in real-time to other users (and vice versa) – optimising their responsiveness, reducing the need for voicemails and saving wasted time. Flexibility is not just an everyday advantage of UC, it can also pay dividends for business continuity and disaster recovery. With hosted UC, anything from a power cut or snow-blocked roads to an office fire or flood can be taken in your stride with uninterrupted communications. With no on-premise infrastructure, you can work as if in your office, even if your office is no longer working – and your customers need never know. Traditional communication via PSTN/ISDN phone lines is expensive. Migrate to UC and you can scrap those line rentals and reduce your communication costs by as much as 50% per month1. You can also adopt an OPEX per-user-per-month model, which makes the cost more predictable and easier to control and budget for. Updates and upgrades are included in the price to keep your solution “evergreen” without ever-increasing costs. Plus, the availability of high quality, easy to set up video calls and online meetings means that you don’t have to physically go to every meeting: dramatically reducing your travel expenses. Hosted UC means the server hardware is located in data centres with a far higher level of security than your own server room is ever likely to achieve. It is delivered over secure private network connections and all communications – voice, messaging and video – can be encrypted if required. Customers don’t care how you do it – they just want someone to answer their call or respond to their message quickly and effectively. With UC, you can give your customers the kind of communications they want. Whether it’s a video call, webchat, instant messaging with customer care advisors, or a presence-enabled directory automatically routing calls to the correct department or person, UC’s features help you create a customer experience to remember, rather than one to forget. With a video call you can even give them the kind of communications they might think they can only get in person. Using video for internal communications too can make meetings more efficient and easy to schedule. A one hour meeting via video call only takes an hour, not an hour plus travelling time (and costs). 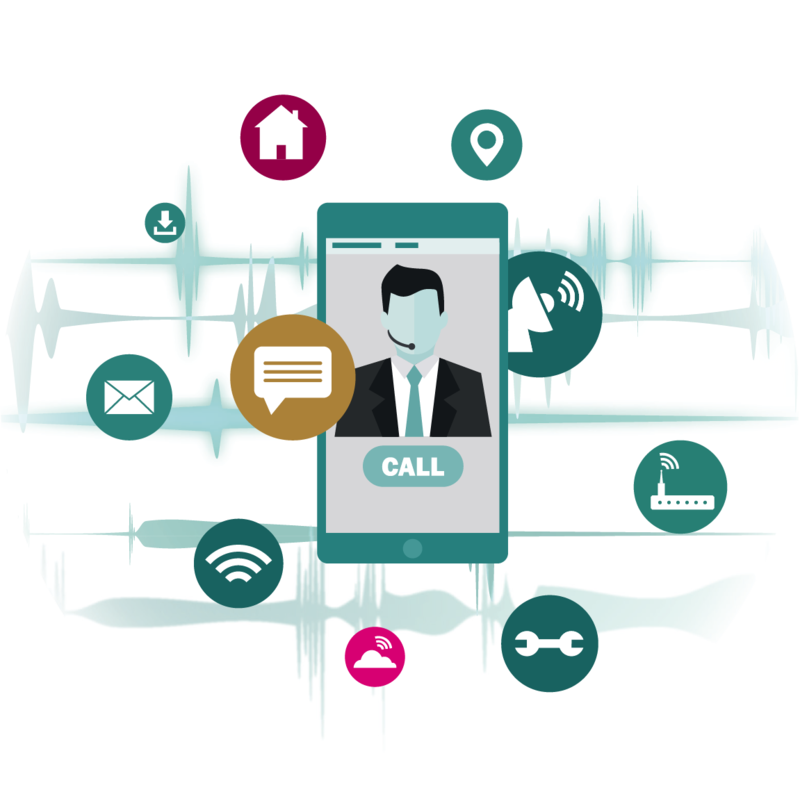 Integrating UC into business processes and flows – such as Salesforce or IBM Watson – makes it quicker and easier to identify all colleagues and customers involved, and to contact them directly with just one click. Unless communications technology is your business, you’ve got more pressing matters on your mind than communications technology. A hosted UC solution gives you the freedom to focus on them. Operating and managing individual communications systems may give you the features of UC, but it also gives you the headaches of multiple systems and providers. Hosted UC integrates the features into one system from one provider, freeing you to focus on your business. If you’re used to using on-premise infrastructure and applications, then deploying UC on-premise might be tempting. However, familiarity is not a good basis for a business decision - freeing up budget, flexibility and future-proofing are. Choosing to have your UC hosted by a third party significantly lowers your initial outlay compared to an on-premise system, which makes it eminently affordable and frees up budget to use elsewhere. A hosted solution also makes it easier, quicker and more cost-effective to scale up or down as required, giving you greater flexibility and a fully future-proofed solution. You need a hosted solution to benefit from the ‘Triple-locked security’ mentioned above. An on-premise solution makes server security your problem, a hosted solution makes it the problem of a specialist. You may already be using instant messaging, Presence, video conferencing or file sharing – or any combination, but the key to unlock efficiency and productivity is not combination, it’s integration. You will most likely have implemented the different products at different times, with little opportunity for making them work together seamlessly. This can make the user experience patchy and inconsistent and the customer experience disappointing. UC is an opportunity to transform your existing communications into one fully integrated, seamless solution. UC gives you the flexibility to choose – and pay for – only what you need. You may have a large call centre, mobile users, regional offices and homeworkers to manage. UC can be tailored to meet your exact requirements. If those needs change, your UC can change to suit, especially if you have opted for hosted UC and the additional flexibility it provides. All done from any device and any location. A specialist team has been assembled to tender for a new piece of business. One team member is in Dublin, one in London, one in Donegal and one on the road. Document sharing, collaboration and conferencing features allow them to work together as effectively as if they were in the same office. With no arguing about whose turn it is to make the tea. Using those same UC features, employees across the globe took part in a live multimedia training session from their own offices, but led by Head Office. They were trained and back to work in less time than it would have taken to check-in and board the plane. When a customer rang the contact centre with a tricky query that they couldn’t answer straightaway, the customer care agent used presence and instant messaging to quickly locate and chat with an in-house expert for specialist advice. Before you invest in a UC solution, there are some questions to ask of yourself and of potential vendors. Here are those questions and the answers you would expect to hear from a reputable vendor with a UC solution that’s right for your organisation. How can UC extend the mobile capabilities I already have? How can a UC solution be aligned with my business objectives? How will UC integrate with my existing systems? How will the network support the additional data and traffic generated by UC? How will my data be kept secure? How are user licences managed? How will UC help me reduce costs? What support is available? How can UC extend the mobile capabilities I already have? UC enables seamless communications on a wide range of mobile devices, for all your employees wherever they are located. From a tablet, laptop or smartphone, they can video conference, share documents, message, share their availability status and pick up calls made to their office landline. How can a UC solution be aligned with my business objectives? If your objectives are to be more productive and efficient, then a UC solution is already aligned. If your objective is to provide better customer service, then seamless communication, presence, web chat and contact centre will enhance your agility and responsiveness to customers. If your objective is to expand your business nationally or internationally, then a UC solution can help enable this growth by connecting your employees, whether local or remote. How will UC integrate with my existing systems? Seamlessly. Integration is what an open-standards based UC solution does best, whether between phone and laptop or between new and existing systems. How will the network support the additional data and traffic generated by UC? Your network is the foundation on which you build all other services. Once your Network – both local (LAN) and between your sites (WAN) – is sound, adding UC traffic should have little or no impact. Voice traffic requires very little bandwidth. Video traffic however, depending on the resolution, may use relatively large amounts of bandwidth. There are simple methods such as traffic prioritisation and Quality of Service (QoS) that can prevent any degradation of your network. Many UC vendors will also offer Managed WAN and LAN as part of a full suite of managed services and can easily manage and scope this for you. How will my data be kept secure? A reputable provider will have a robust network with tried and trusted security and will ensure your communications have their own secured private network connections. Hosted UC uses servers managed by the provider from data centres featuring state-of-the-art security. All your communications – whether voice, messaging or video – can be encrypted if required. How are user licences managed? UC is a flexible solution in every sense of the word and that should apply to its user licensing structure. User licences should be transparent, easy to manage and aligned to your business needs. A solution that offers per-user or per-device licensing will ensure you have complete visibility over how many licences are in use, and give you the freedom to scale up or down as required. How will UC help me reduce costs? In many ways. Firstly, you will eliminate the cost of PSTN/ISDN line rental. Secondly, with hosted UC, you will no longer have the cost of installing and maintaining your own on-site UC server infrastructure. Thirdly, your UC usage can be charged on a per-user, per-month basis, so you never pay for capacity you’re not using. Lastly, by enabling seamless collaboration and mobile connectivity, your employees can access all your business’s human and technology resources wherever they are, which greatly reduces travel costs. A properly set-up UC solution should require little or no support, though a service desk should be available for 24/7 technical support if required. Make the most of Enterprise Technology. Talk to an expert from our Business Advisory team today on 1800 330 303. 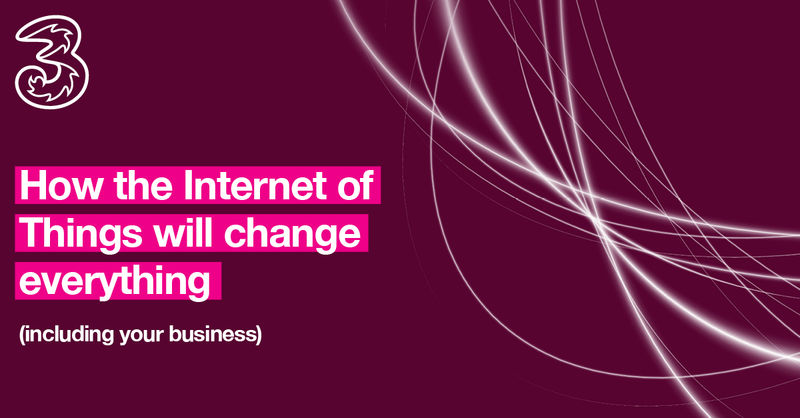 IoT will change everything, regardless of what you now think. Our eGuide will help you feel inspired by the possibilities, rather than threatened by the challenges. Where are you vulnerable and how do you defend your business from the Cybersecurity Triple-Threat? We would love to discuss your business needs and answer any questions you may have.